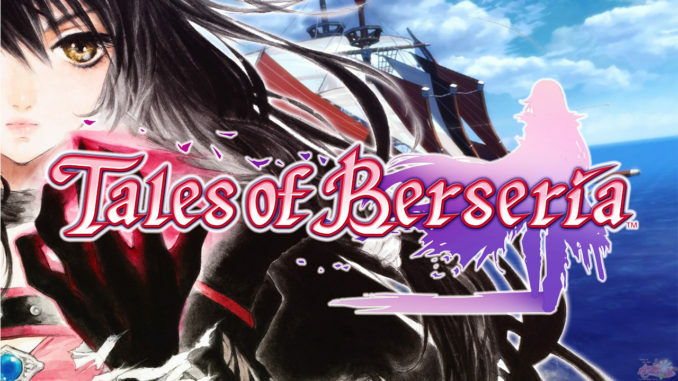 Tales of Berseria is the latest upcoming mothership title for the Tales of Series that was first announced during Tales of Festival 2015. It is the 16th mothership title in the entire series. 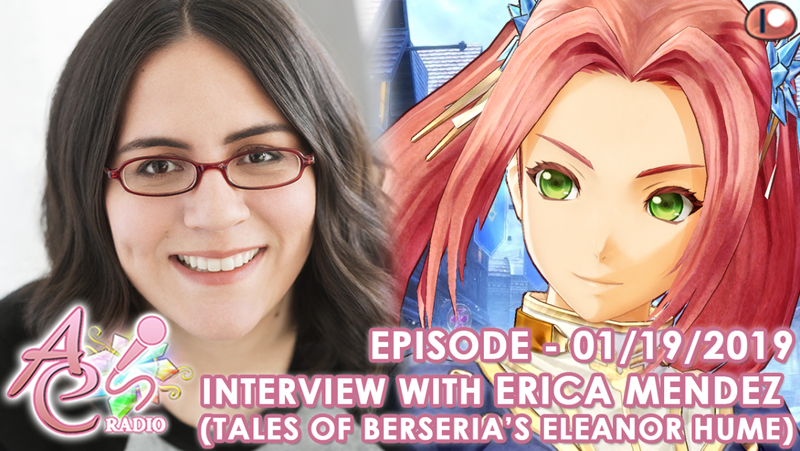 Localization has also been confirmed for early 2017. 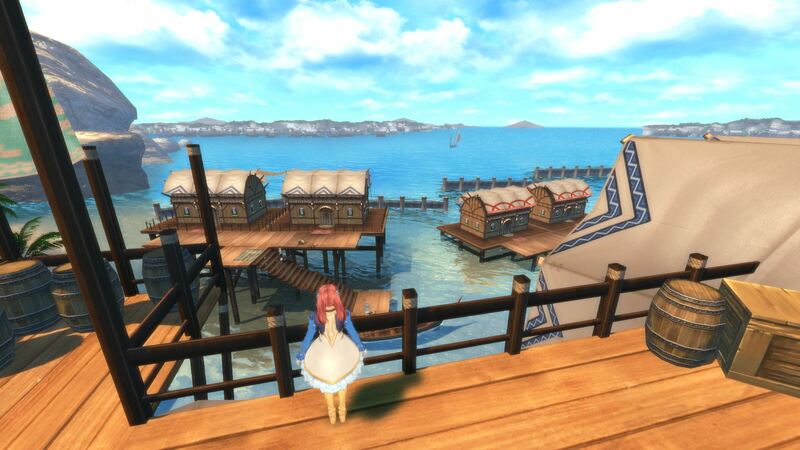 The game features a female solo main protagonist, a first in the series, and features pirates and ships. its main theme is "emotion vs reason." 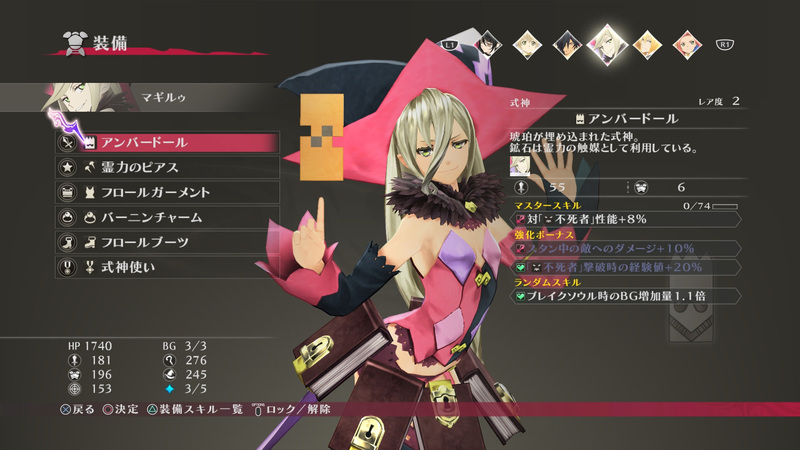 The game again features the four character designers from Tales of Zestiria, though there are more characters designed by Okumura and Iwamoto than Inomata and Fujishima. The game score is also again by Motoi Sakuraba and Go Shiina. 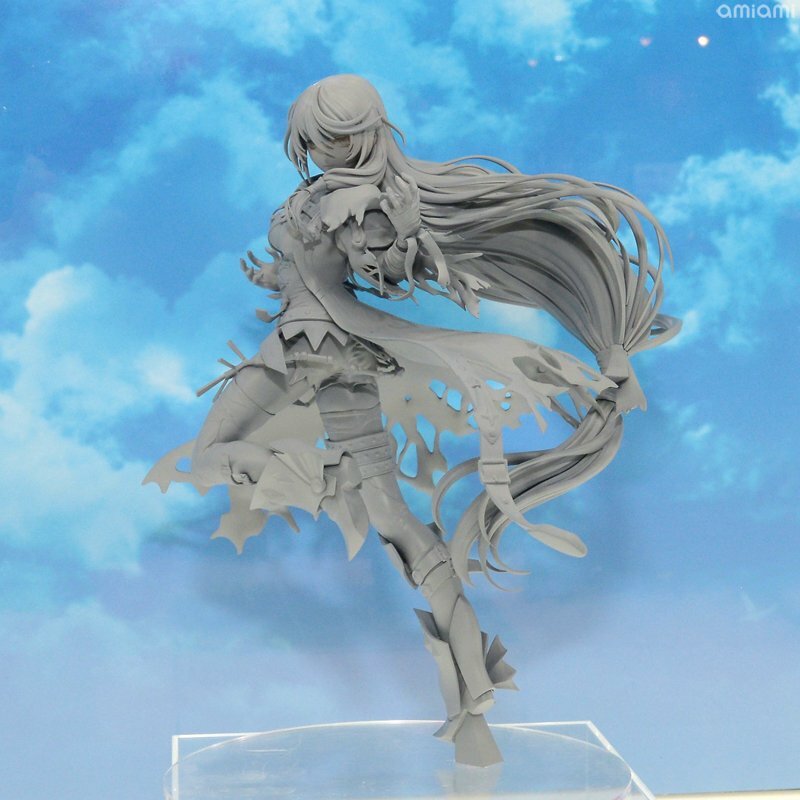 Animation will be by ufotable. 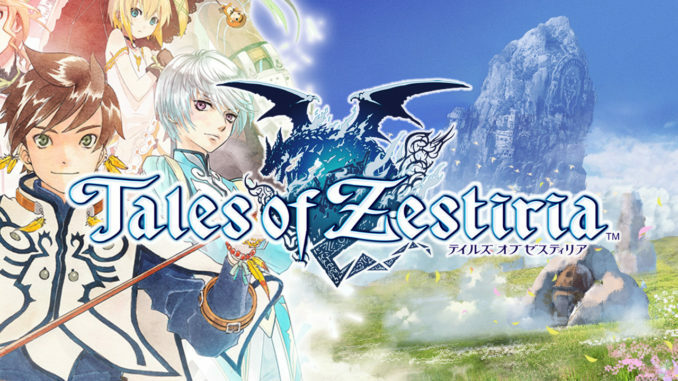 It has been confirmed as a distant prequel to Tales of Zestiria, and is set in a world that includes Tales of Zestiria's Glenwood continent and the areas outside of it. Currently, an anime series called Tales of Zestiria the X is airing which seems to be connecting the two games together, as some episodes are Tales of Berseria-centric. This is the beginning of a legend, and the story of the forgotten “truth” in the distant future. Three years ago, the world suffered periods of turbulence due to Daemonblight, the strange disease that changes humans to monsters. Velvet and her family, living in a remote and old fashioned village in the Midgand Empire, helped one another and spent warm days together. However, the night the Scarlet Moon rose, Velvet’s life was drastically turned around. She was betrayed by a person whom she trusted. 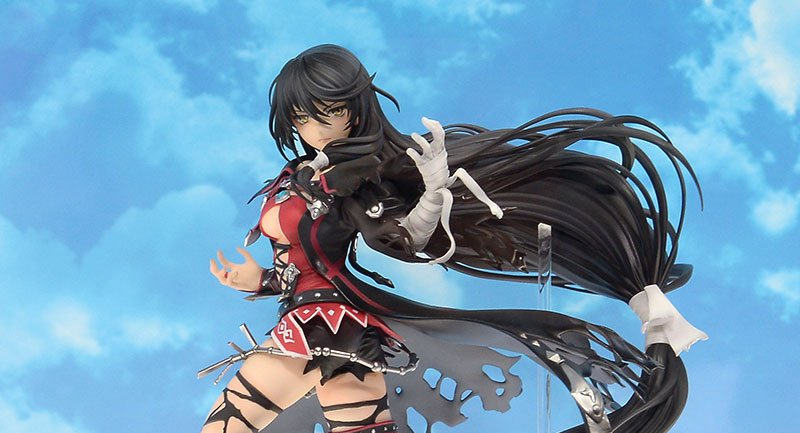 Not only did she lose her family, but a mysterious power has engulfed her left arm, carrying with it the power to transfigure into a demonic form that can devour monsters. 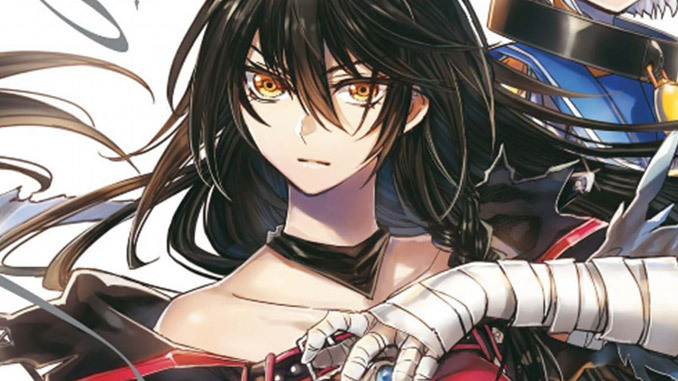 Tales of Berseria is set in the world of Wasteland. In the middle of it is a piece of land that many years from the present will be called the Continent of Glenwood. The main stage of the story is set in the Midgand Empire, a great nation which governs a large area stretching across the sea. This nation consists of countless islands that are divided into multiple territories. Even though within same kingdom, there is a big difference in the temperature and climate between the Northern and Southern territories. These varied climates have an impact on the cultures of the people, which in turn is seen in building architectures and their lifestyles. Recently, the climate has been cooler across the world, especially in the Northern area as it has almost been buried under the snow. Shipbuilding and seafaring technology have really evolved. Trade between territories are being actively conducted. 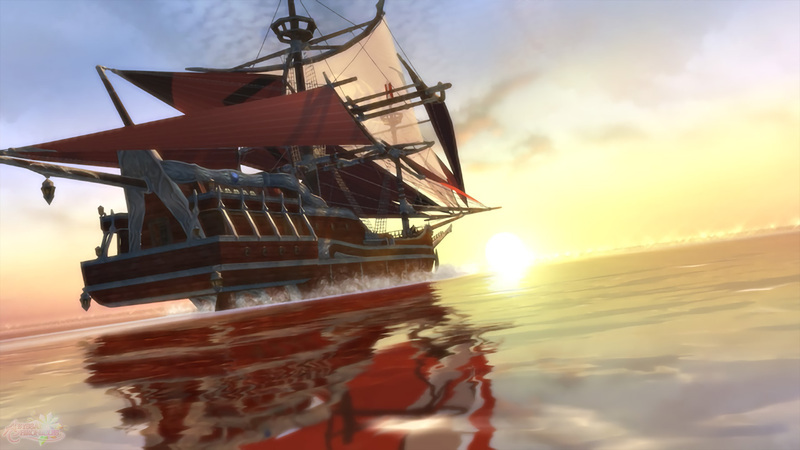 Trading ships use specific routes because the ocean currents and the weather change drastically, as well as the threat of pirates. In this world, there is a disease known as Daemonblight / ??? (G?maby?) which transfigures humans into monsters. Those afflicted, which are called Daemon / ?? (G?ma), go berserk and tend to attack other people, though there are some who are able to keep their sense of reason. 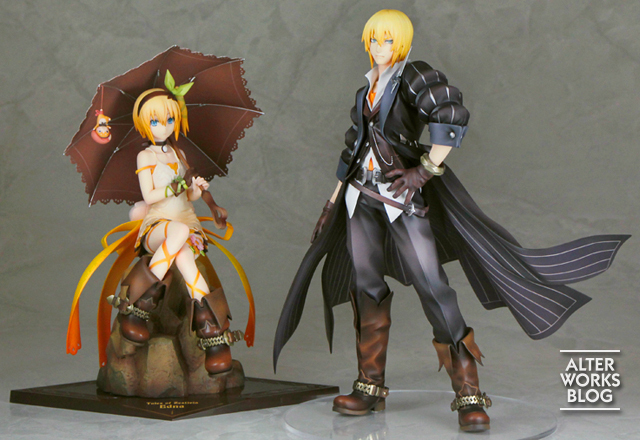 Examples of these are Velvet and Rokurou. They appear in different forms and each may have different power suited for its unnatural appearance. There is an event called the Scarlet Night / ??? 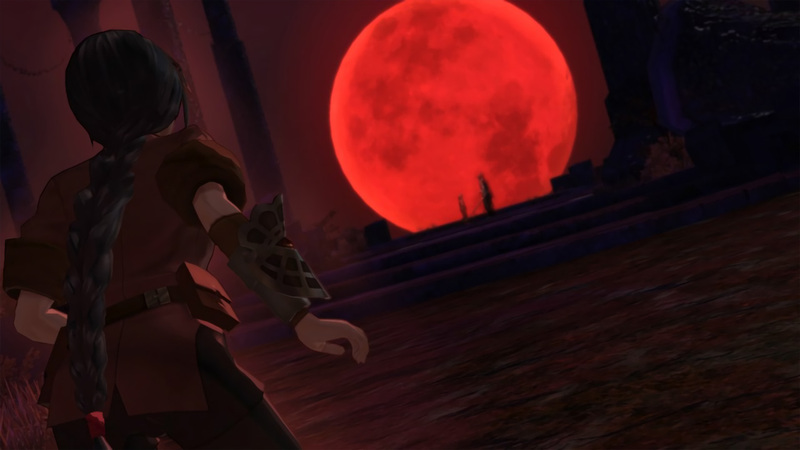 (Hi no Yoru) where a scarlet moon rises in the sky, and it is believed to be connected to the Daemonblight somehow. In addition, an organization known as Abbey / ?? (Seiry?) exists, consisting of Exorcists / ??? (Taimashi) that fight against daemons. They are sent to various towns and areas to protect the common people in order to maintain order in the country. They lead the politics and the military of the kingdom based on the thought “adhering to reason brings order and peace”. Exorcists are ranked based on their ability. There are three ranks for exorcists under the head of the Abbey: Legate, Praetor and Orderly. They are renowned as heroes, and Abbey’s ideology is slowly spreading among the people. Velvet will often clash swords with them, given that they hold within them the savior Velvet is after. Known members of the Abbey include Eleanor, Oscar, Teresa, Melchior and Shigure. The exorcists from the Abbey exploit a race of beings called Malakhim (singular “Malak“) / ?? (Seirei) who have the power to control nature. Since Malakhim usually cannot think for themselves and have no ego, they are used by the Abbey’s exorcists as familiar spirits. One in such a state is Laphicet. Some may have non-human forms. 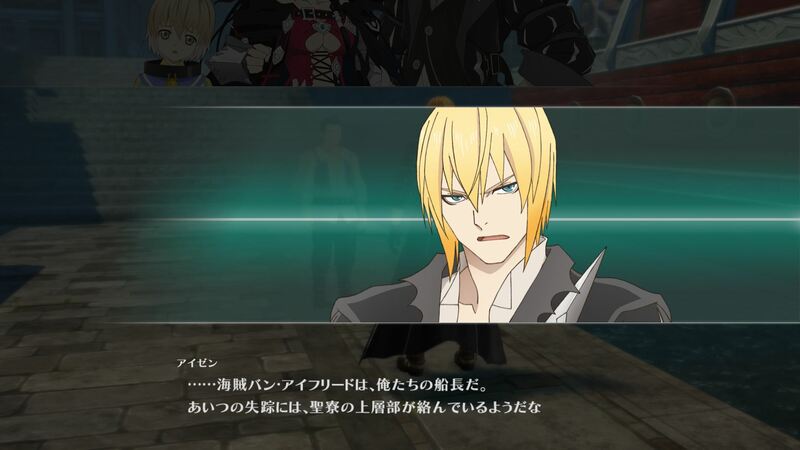 It is said that there are some exceptional Malakhim who are free from orders of exorcists and act independently, an example of this being Eizen. 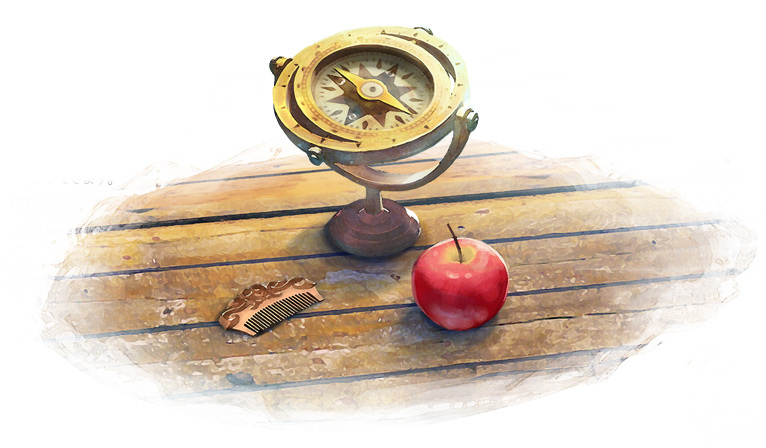 The story is said to be affected by three key items: Velvet’s comb, Laphicet’s compass, and apples. 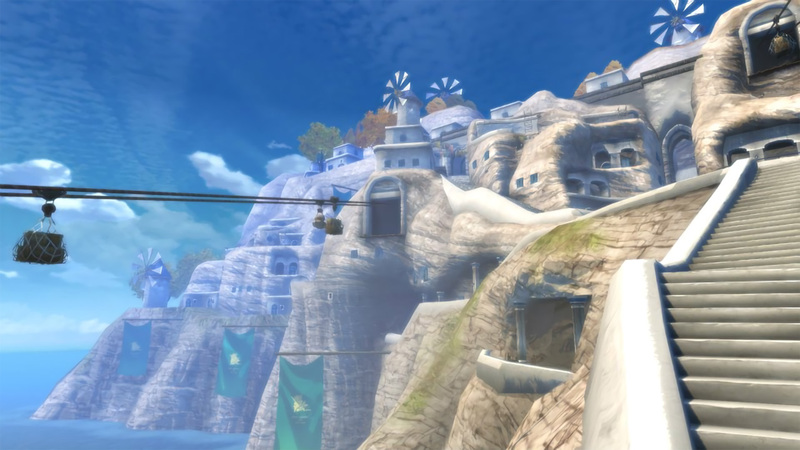 In the game, Velvet can be found in the prison island of Titania. Finding an opportunity to escape, she travels the world to extract revenge on the world’s “savior,” Artorius. 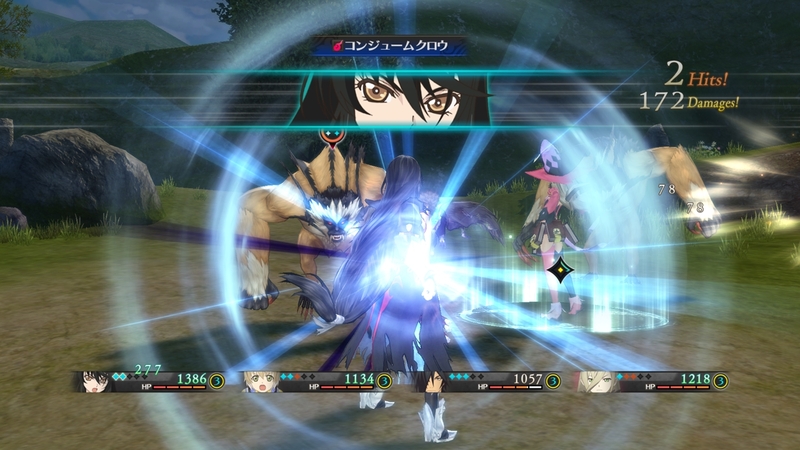 Tales of Berseria’s base battle system is similar to Zestiria and other previous games that make use of the Free Run model, but unlike these previous systems that made use of only the Circle and X buttons for performing attacks, the Liberation-LMBS makes use of all the Circle, X, Triangle and Square buttons to perform attacks and artes. The left stick will be used for for movement alone. 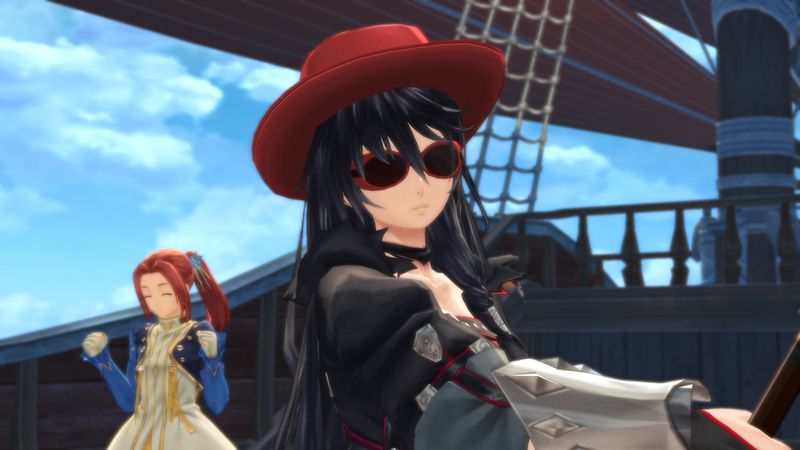 Berseria takes a step back from Zestiria’s Real Map Battles feature which allowed seamless transition in between fields and battles. Transitions are now back, thereby producing a battle field for every battle entered. 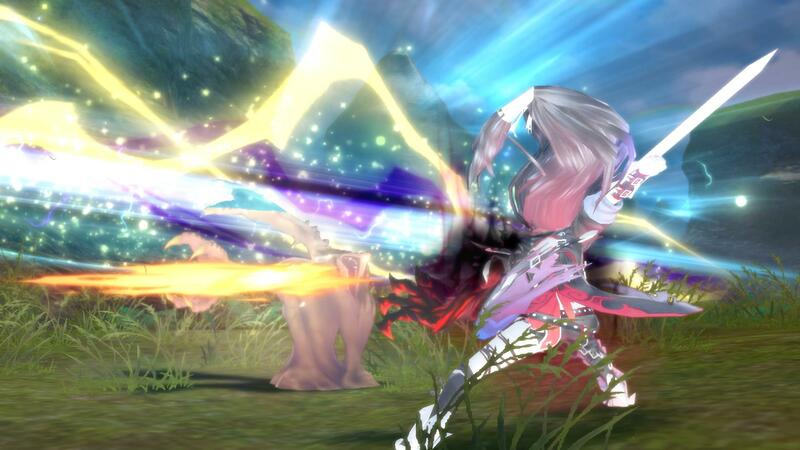 This solves the issue of the wonky battle camera that Zestiria had. You can switch the character you’re controlling between the other active party members by pressing the L1 button + the left/right directional button. This can also be done through the battle menu (to open with the touch pad) by pushing the L2/R2 button. Note that this is not the same as a Switch Blast, which is changing to the back-up character using the up and down directional buttons. Quickstepping can be done left or right, forward or backward with the L1 + Left Stick. Bonuses can be earned when using Quickstep to evade enemy attacks. Via the concept of “stealing souls,” the SG affects the number of attack combos. It differs a bit from the TP or CC systems from previous games. 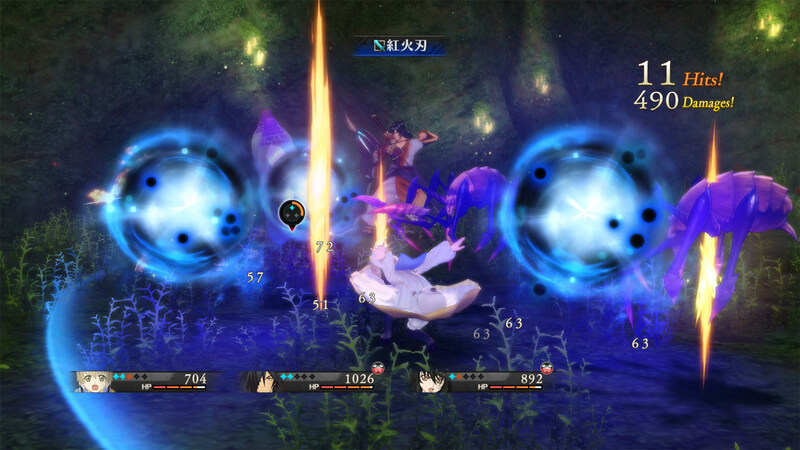 An arte consumes specific SG points, and the gauge is consumed depending on the arte the character performs. Even with the SG at zero, a player can atill perform artes, but there will be disadvantages. For example, the attack may easily be countered. SG automatically regenerates after a certain period of time. The SG is the gauge on the left hand side of the character indicator, the one that looks like diamonds side by side. Soul represents a character’s mental power or mana. A battle starts off with 3 Souls, and it can be increased when certain requirements are fulfilled. Souls can be stolen from enemies, but at the same time, enemies can steal Souls from players. Souls may also pop up when a character is knocked out or when you manage to evade an enemy attack via quick step. Soul can increase by knocking out an enemy, stunning enemies or causing status ailments and using a specific item or picking up Souls on the battlefield. Souls can decrease when you are stunned by an enemy or when you get status ailments from them. 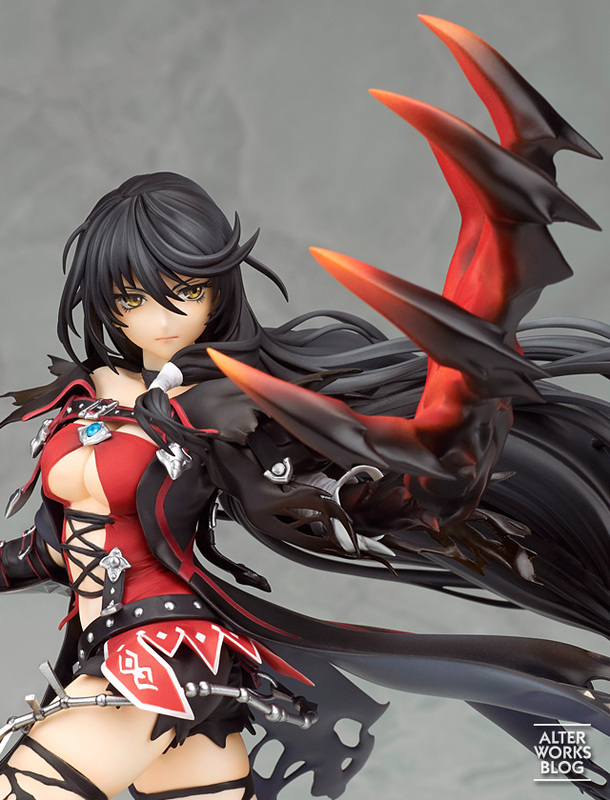 Consuming Claw (Velvet) – Velvet unleashes the power of her left arm and allows her to devour enemies in a Therionized state. 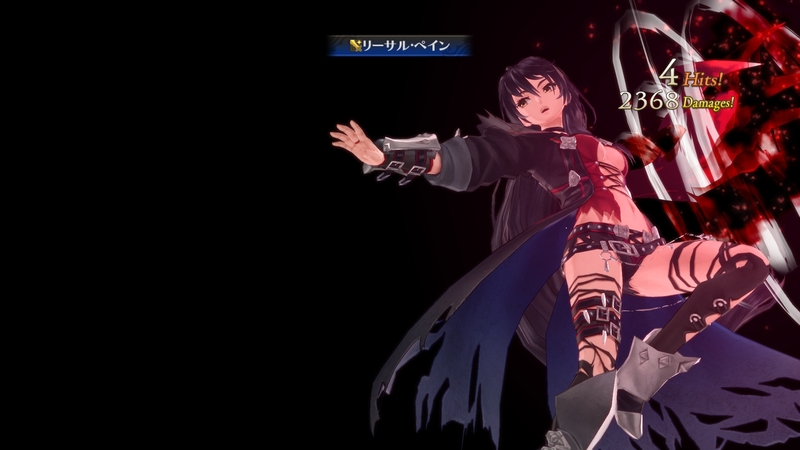 Depending on the type of enemy faced, it will allow Velvet to perform special artes. 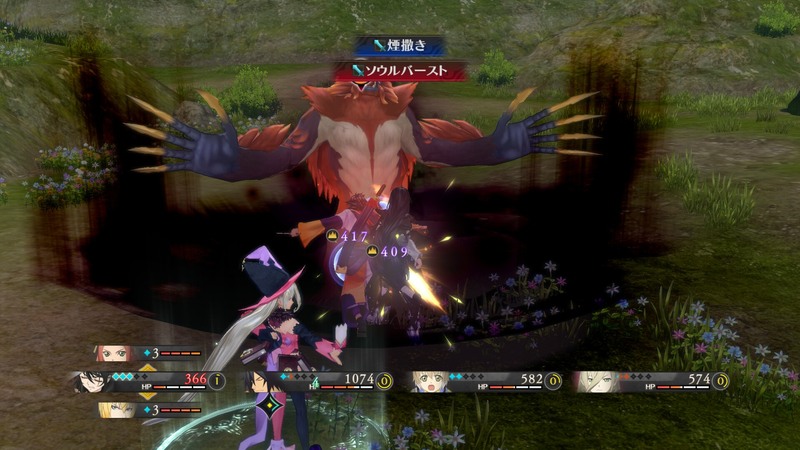 For instance, when the enemy is a Beast type, the arte Scarlet Edge can be performed, which deals greater damage the bigger the enemy’s attack power. For Amorphous enemies, the special arte is Thunder Blitz which deals greater damage the higher the enemy’s defense. Some may even allow Velvet to instantly kill an enemy. 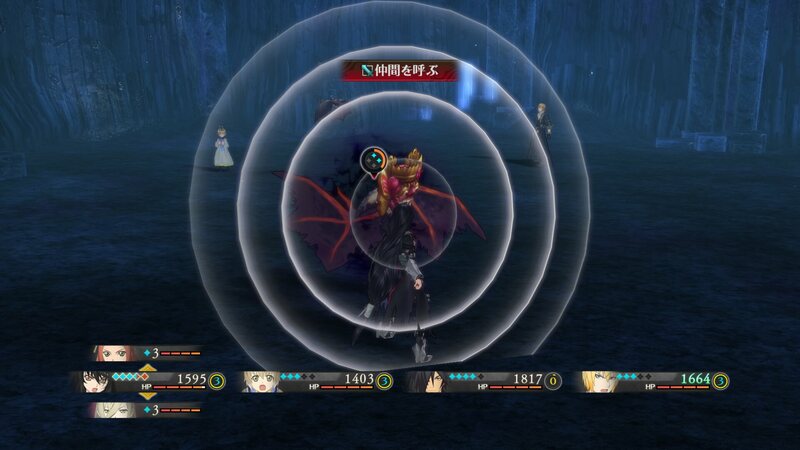 HP goes down while in this state, but as HP goes lower, her artes increase in power. Divide Pain (Laphicet) – Laphicet’s Break Soul spans the entire field and increases the party’s survival rate. For about 5 seconds, it’ll halve the damage received by the party from the enemy. It’ll also recover everyone’s HP once it’s used up. Retribution (Rokurou) – Allows Rokurou to use powerful counter techniques against enemies, allowing powerful combos. 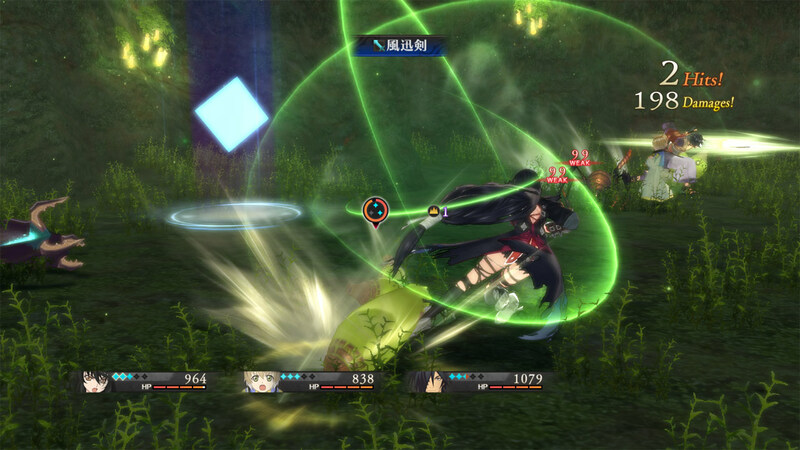 When Rokurou is struck by an enemy’s attack, he can invoke a strong counter arte that is very damaging and heals his HP when it succeeds. Also, if his counter succeeds, he can execute the counter arte “Vengeful Strike”. Spell Absorber (Magilou) – An anti-magic dedicated ability which allows the player to cancel the enemy’s action and absorb their mana. On activation, it can cancel’s an enemy’s arte and absorbs a fixed amount of mana from them. Once the mana reaches a point, she will counterattack at random with a powerful arte. She has multiple types of counter artes, but it depends on her mood on what she’ll perform, such as Lightning Blast or Violet Storm. Aerial Strike (Eleanor) – Launches enemies into the air and attack them to perform combos. 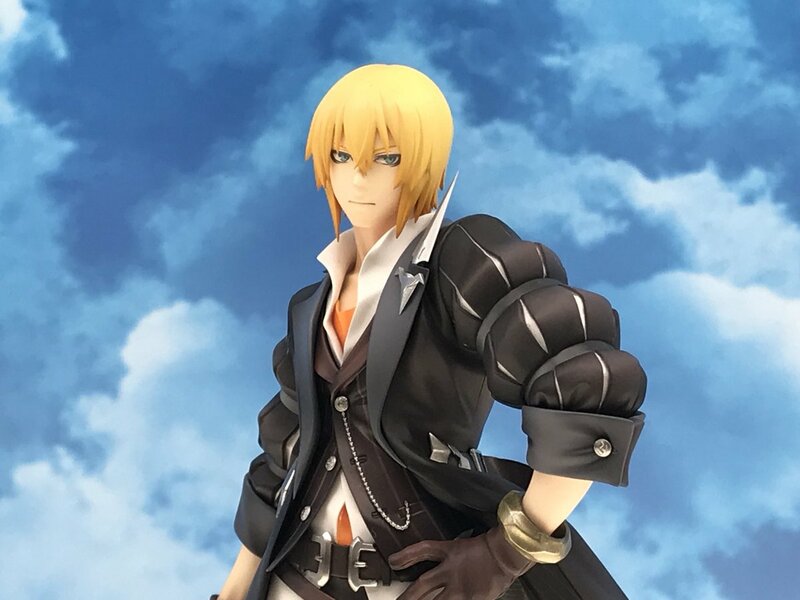 Draconic Drive (Eizen) – An area attack ability. It can only be activated when the enemy is stunned or down. Despite the difficult requirement, the power of his Break Soul is overhwelming. Break Soul can be executed during a combo, which allows the players to increase the length of the combo without using the Souls they own. This is because Break Soul consumes one Soul but allows the player to keep the combo by repeating the combo from the 1st-set Arte. For example, if you have 4 Souls and you execute it just after performing 4-hit combo, you consume 1 Soul and now have 3 Souls. 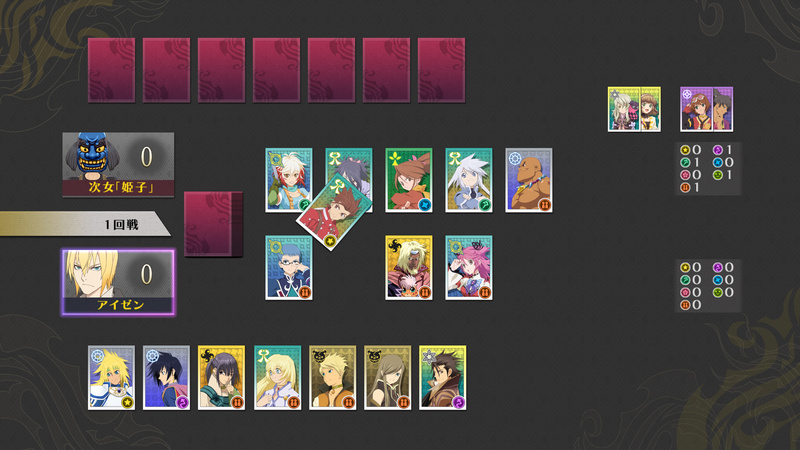 You can continue the combo from the Arte set in the first column and can perform an additional three Artes at max. 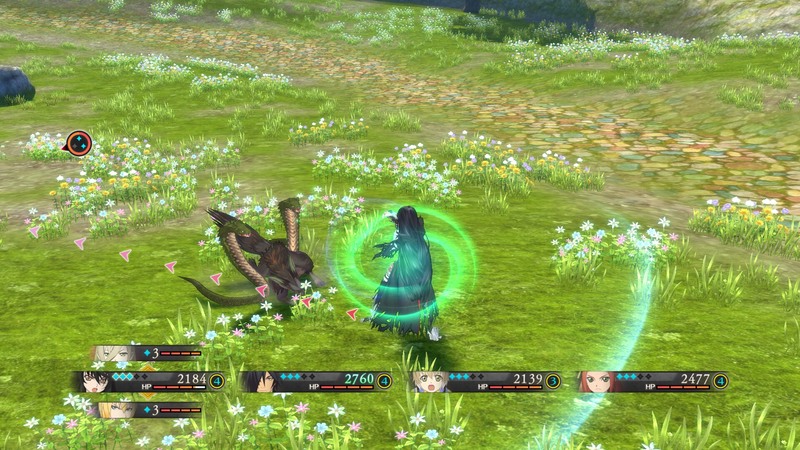 You can perform up to four Artes in one combo normally, but by using Break Soul, the player can perform up to eight Artes (including the Break Soul). 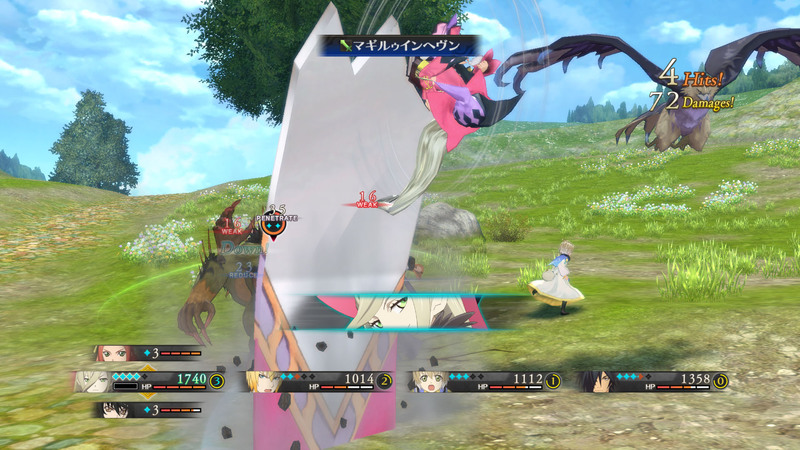 The blast gauge are used to perform more powerful attacks, similar in Tales of Zestiria. They are mainly used for Switch Blasts and for Mystic Artes. 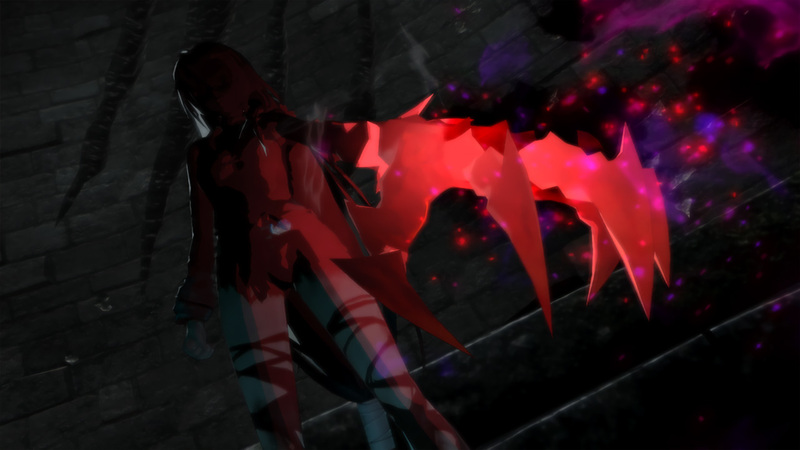 As a concrete example: Velvet, having 3 Soul, decides to switch out and let Magilou, who at the time also has 3 Soul, into the battle. 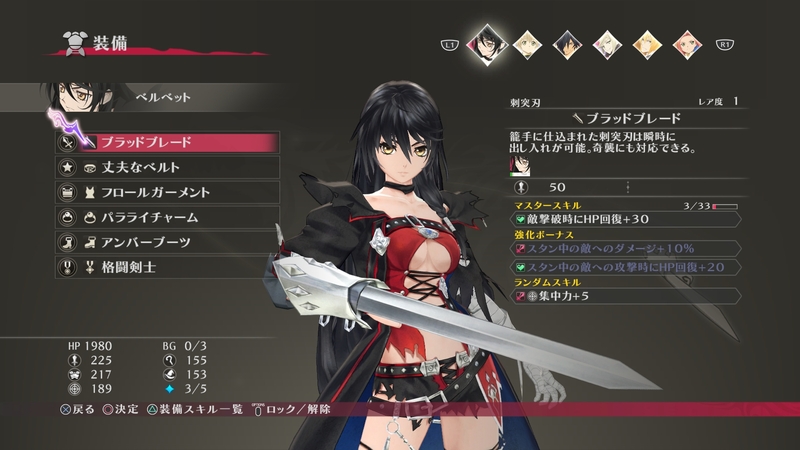 Once the two switch places, there will be a minus 1 of Velvet’s BG, but there will be a plus 1 increase in Magilou’s SG. As mentioned above, artes and attacks are now done with all the four action buttons. They are laid out in the form of tiers: i.e. their are tier 1 attacks you can do initially assigned to the four buttons. Your 2nd attack will be from tier 2, and regardless of what button you used to perform the tier 1 attack, you can perform any attack from tier 2 regardless of which button it’s assigned to. You’re technically free to mix and match them all by tier. This, in essence, provides the freedom or “liberation” in this battle system. As a concrete example, for instance you used your Triangle arte as your tier 1 arte. For your tier 2 arte, you can use any one of the Triangle, Square, X or Circle arte assigned to tier 2. The same applies from tier 2 to tier 3 and then tier 4. Mystic Artes are powerful artes that require BG. They are performed by pressing long-pressing the L2 button when BG is at 3 or greater. Higher ranking Mystic Artes, however, may have different ways of activation. Potentites are items that will grant additional effects and abilities in battle. The example given is a Priest’s Ventite that grants “Soul Charge,” which will let you recover 1 soul when you guard for more than 1.5 seconds in battle. Powerful Daemons called Code Red Daemons are scattered around the world. Defeating them will grant the player powerful items, Potentites included. Though there usually is a quest tied to the Code Red Daemon, you can just go ahead and defeat it before talking to the quest giver, and you’ll still get the reward item upon reporting the quest. Meeting specific requirements in battle will make a Wandering Enemy suddenly appear. They are much more powerful than the Code Red Daemons and are usually accompanied by multiple enemies. The lower its HP, the higher the possibility that it will unleash a powerful attack. 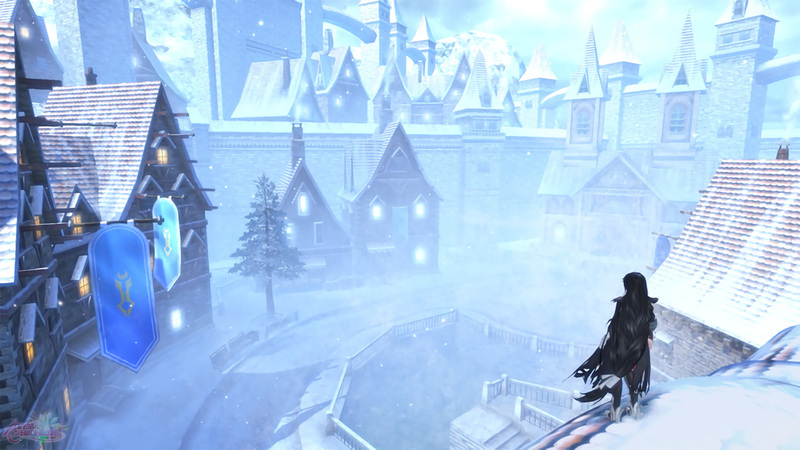 Similar to the Xillias and Zestiria, Tales of Berseria does not have a concrete world map field, but instead seamlessly connects towns, dungeons and fields into a 1:1 scale. This allows more explorable areas. 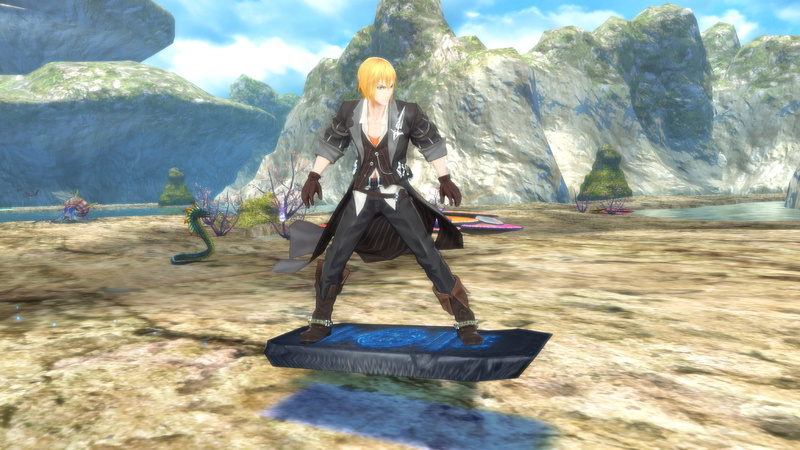 Tales of Berseria’s skits differ from the previous games in terms of animation and presentation. The new system introduces a cut-in effect that inserts itself into conversations in a variety of ways. Sometimes, it may show all the characters talking. Other times, it will focus on just one character’s expression. 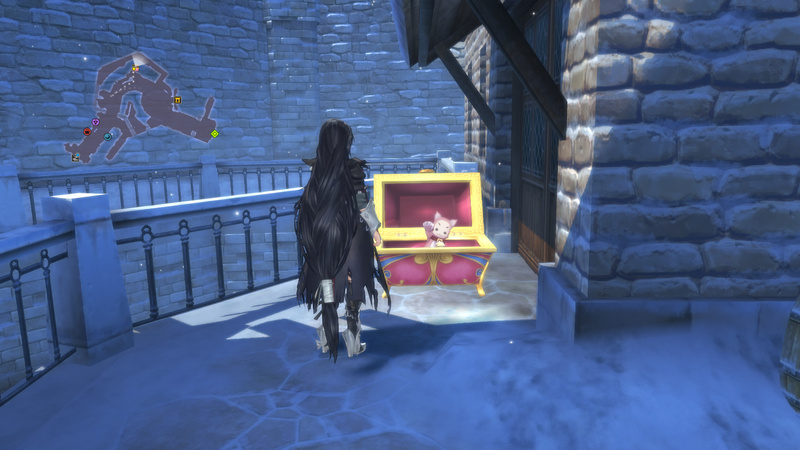 These are special treasure chests which can be opened with Katz spirits. Katz spirits are collected while walking around fields and dungeons. Once opened, a Katz will come out and give you an accessory or attachment. The Rare Board is basically a hoverboard. It increases movement speed and allows passage through rivers or valleys not usually accesible on foot. It may also make jumps. Characters’ looks can be modified with attachments and costumes from the game (or from DLC). Some attachments may carry over in scenes and be the topic of conversation. Similar to the recent games, it seems attachments can be modified in terms of color, size and placement. Skills, which can be obtained from Equipment and from Titles may have various effects that can strengthen your characters. Under Equipment Skills, there are Master Skills, Enhancement Bonuses and Random Skills. Master Skills have skill levels that go up from GRADE earned in battle. Once mastered or completely learned, the skill is retained even when the equipment that contains it is removed. Enhancement Bonuses are skills unlocked from equipment once they are enhanced or strengthened. Base equipment with no enhancements done yet will not have the Enhancement Bonuses activated. As the name implies, a Random Skill is a skill that is randomly generated for the equipment once you obtain it. Because of this, the same type of equipment may have different Random Skills at different parameters. Title Skills are skills tied to titles and are unlocked as a title is leveled up. Some titles may require certain conditions such as a certain number of attacks for a specific arte. There can be multiple skills per title. Equipment can be strengthened by using materials obtained from your adventures. You can also dismantle them into additional materials which can be used to enhance other equipment. 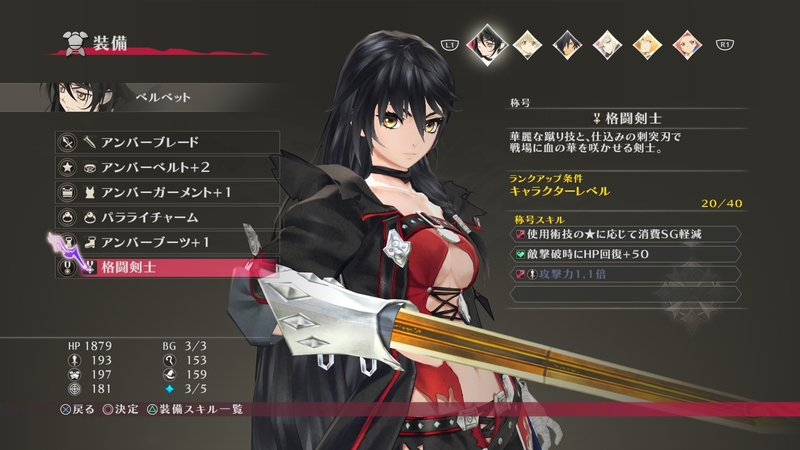 The menu now features the character’s model when in the Equipment Menu. You will be able to see changes on the main weapon and be able to rotate or zoom in and out to the character model. 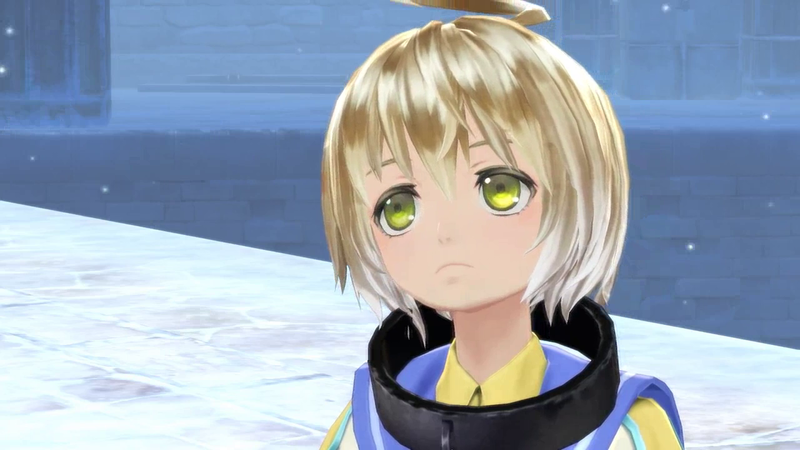 Tales of Zestiria, unfortunately, did not have a Cooking System. 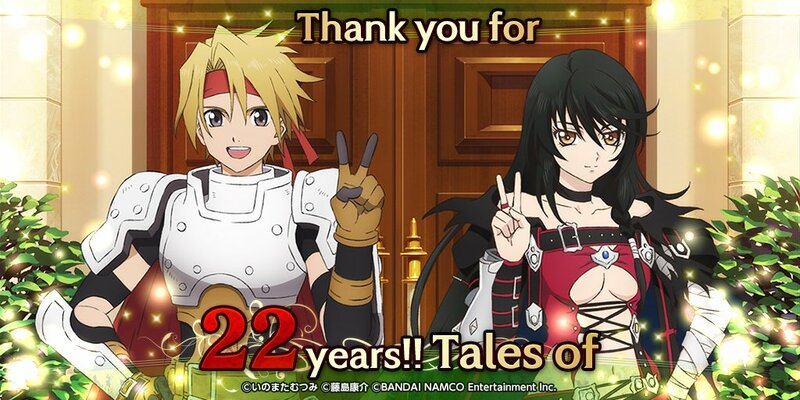 Fortunately for Tales of Berseria, Cooking’s back! Cooking can help recover HP or give stat boosts in battle. 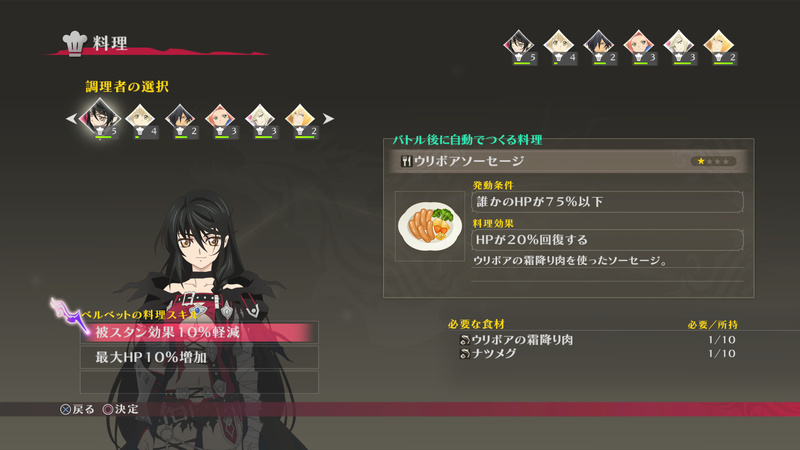 Each character has unique cooking skills which can be leveled up by cooking more. 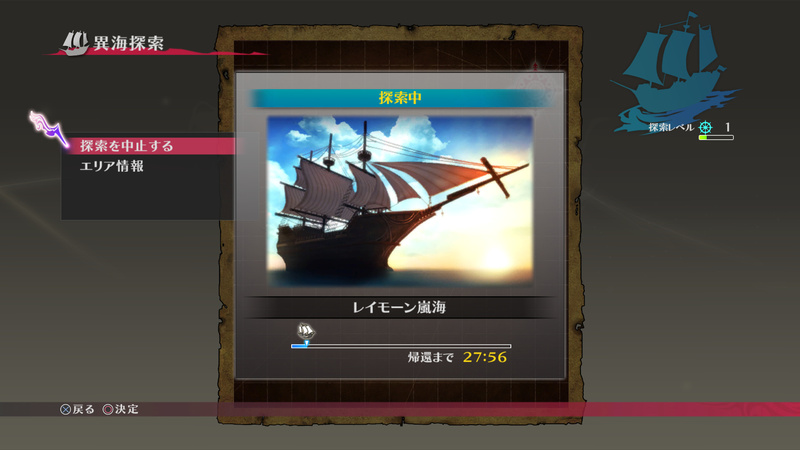 The player can send out a scouting vessel, then after a while, it may come back with treasure, materials and recipes. As you discover new areas, the scouting vessel can search more seas. Jump, Bienfu! – You basically make Bienfu jump from a pier into the sea and see how far you can make him go. Chamballoon 2 – The player has to destroy all the balloons in the battlefield as fast as he/she can. Time will be recorded. Like we mentioned in our previous posts, this is the same as the Chamballoon in Tales of Eternia. Serving Minigame – Like in some of the previous games, you have to serve the food that the customers order. Completing its levels may earn you costumes. Geoboard Races – This minigame is done on the Geoboard with two modes available: In “Coin Getter,” you need to gather as many coins as possible before the timer ends. In “Flag Checker,” you need to collect all flags scattered as fast as you can!